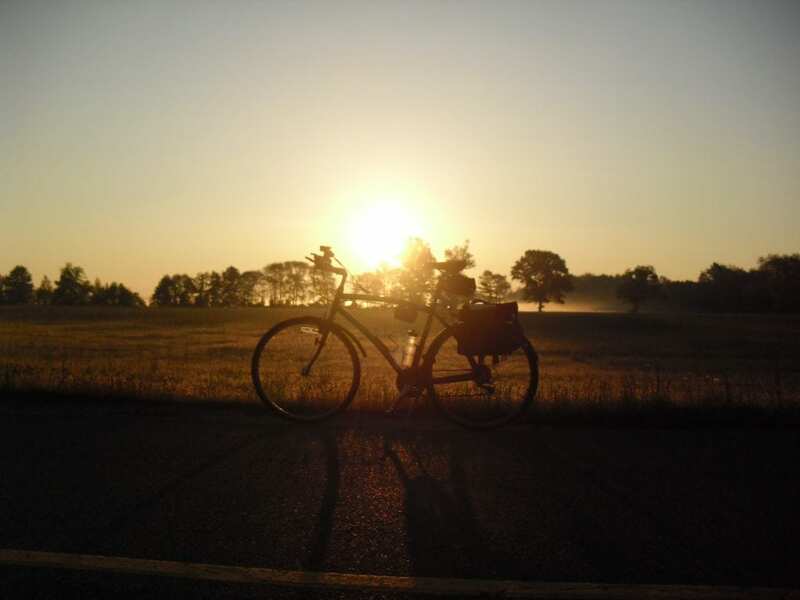 Welcome back guest blogger Don Pillsbury sharing some of his cycling incidents and a great picture courtesy of his friend. You can only pack a set amount of tools, spare parts, gear, and equipment. After that, it’s a matter of keep calm and ride on – with creativity and humor. Thank you Don! If you would like to write about your experience in a guest post, please email wwbikeped@gmail.com. Let’s say you’re tired of winter, especially this winter, and you can’t wait to get back into shape for the beach (or whatever). Maybe you want to ride your bike to work to start working off the winter weight, but there’s a dicey road section, perhaps a 5 lane arterial, between your house and work. 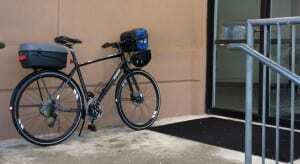 What are some of the strategies to ride safely? Strategy 1 – avoidance – do some exploring and you might find a quieter road section, a trail, or a series of linked driveways and/or parking lots. Be aware that driveways and parking lots require 360 degree vigilance, but are generally low speed so you have decent reaction time. Like sidewalks, trails require vigilance at intersections. Strategy 2 – the sidewalk – it’s legal to ride on the sidewalk in New Jersey, unless the municipality has an ordinance restricting riding on a specific section, typically in downtown areas with a lot of pedestrian traffic. The sidewalk can be more comfortable if pedestrian traffic is minimal, but care must be taken at driveways and intersections since motorists do not usually look for bikes on sidewalks. Strategy 3 – the road – New Jersey law grants cyclists the same rights and responsibilities as the driver of a motor vehicle. Experienced cyclists prefer the road for predictability and getting there faster, but care must be taken to actively manage the traffic around you. This means being aware of the road and whether there are safe places for motorists to pass, and positioning yourself so that you are visible to motorists, both those approaching from behind and those at intersections looking for gaps in traffic. The New Jersey Department of Transportation has an excellent website for bike commuters – see the Frequently Asked Questions for good advice regarding riding on the road safely. 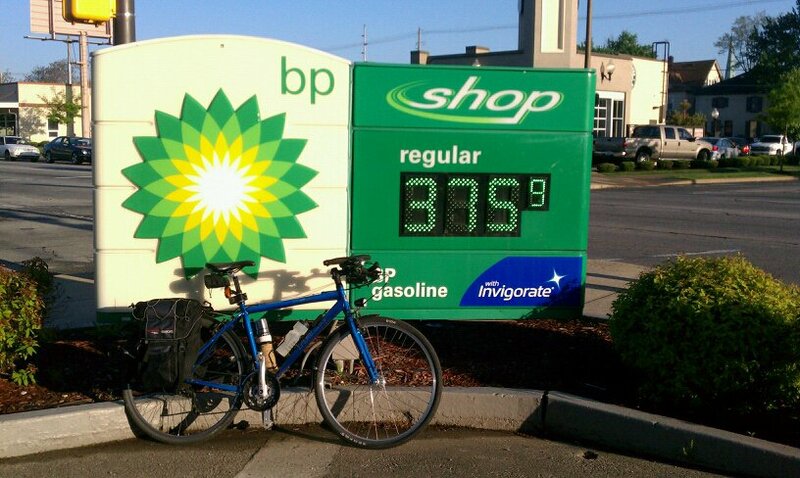 This post marks the debut of a new series for our blog, based on bicycle commuting. As a longtime cyclist but a newbie bike commuter, I’ll look at the issues faced by those who want to explore bike commuting as a fun, healthy and sustainable lifestyle choice. Let’s assume for the moment that you know why you want to bike commute, but want to know what bike is right for commuting? The great news is that any bike will do, especially for short distances over relatively flat terrain. Some vital components necessary for commuting safety and comfort may be missing though on typical recreational bikes; such as a kickstand, fenders, bell and lights. 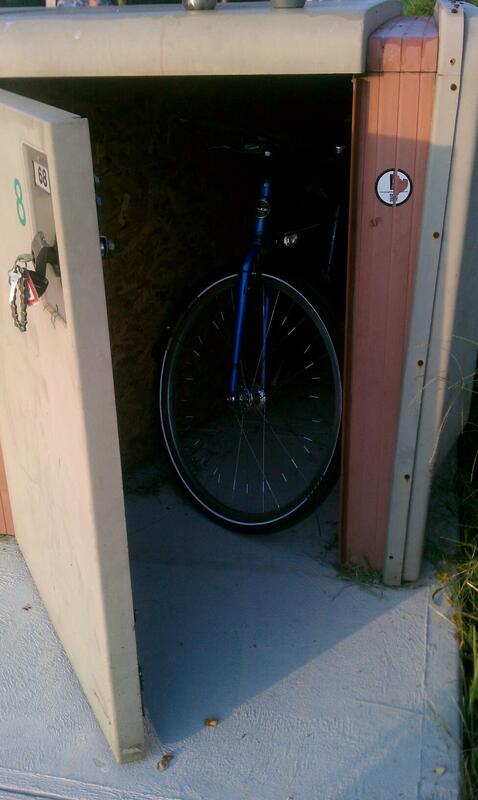 Fortunately, reasonably priced after-market choices are readily available from your local bike shop or online. 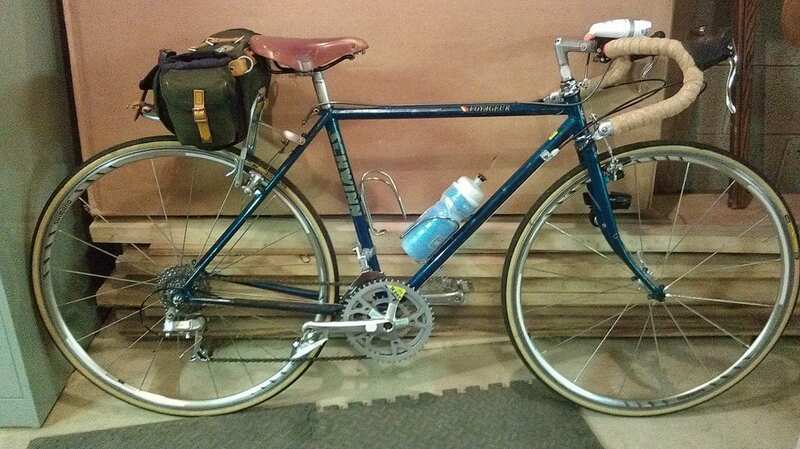 Since I’ve enjoyed my various bikes for many years, however, I bought a new, full-featured commuter bike (pictured). The bike features a relatively light and stiff aluminum frame, fixed fenders, a light capacity rear rack, disc brakes and gearing for hills, and includes a sturdy kickstand and a bell. 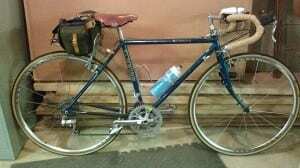 Most of all, I wanted the electricity-generating front hub that powers permanently mounted front and rear LED lights. The lights are key to enhancing visibility on the road, since most motorists don’t expect cyclists, and as a commuter I don’t have the advantage of riding in a group, as on a club ride. The front light is powerful enough to see the road at night, and I won’t need to worry about battery life. 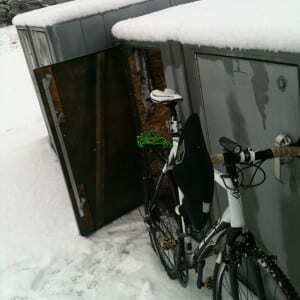 And don’t underestimate the utility of fenders…just one ride in the rain or snow and you will understand their benefit! In the next post I’ll address some additions to the bike, but in the meantime please feel free to comment!